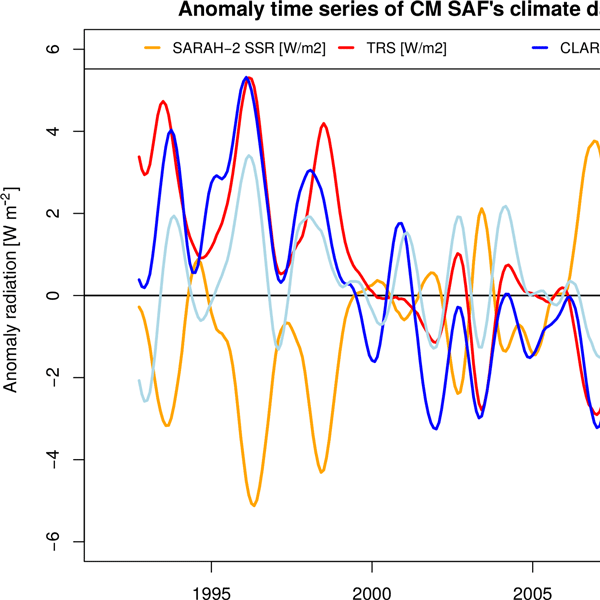 This study exemplifies the ability of the self-organizing maps method to directly define well known wind regimes over Israel during the entire year, except summer, period at 12:00 UTC. This procedure may be applied at other hours and is highly relevant to future automatic climatological analysis and applications. The investigation is performed by analysing surface wind measurements. The relation between the synoptic variables and the wind regimes is revealed from composite calculations. Downward-facing shadow cameras might play a major role in future energy meteorology. Shadow cameras image shadows directly on the ground from an elevated position. They are used to validate other systems (e.g. all-sky imager based nowcasting systems, cloud speed sensors or satellite forecasts) and can potentially provide short term forecasts for solar power plants. 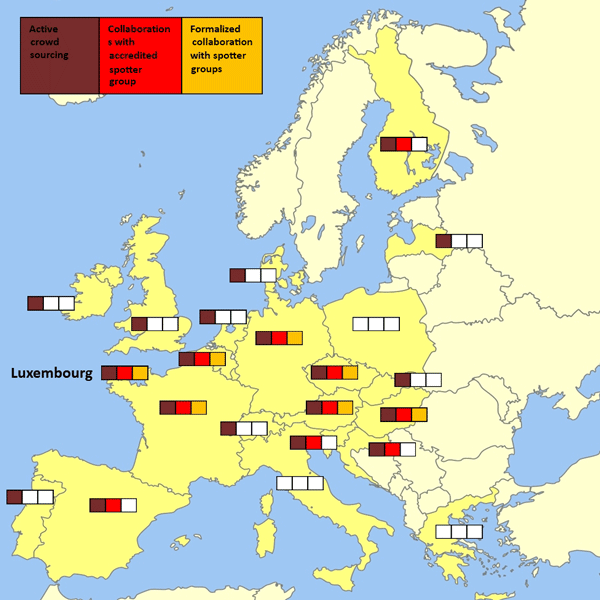 Such forecasts are needed for electricity grids with high penetrations of renewable energy and solar power plants. 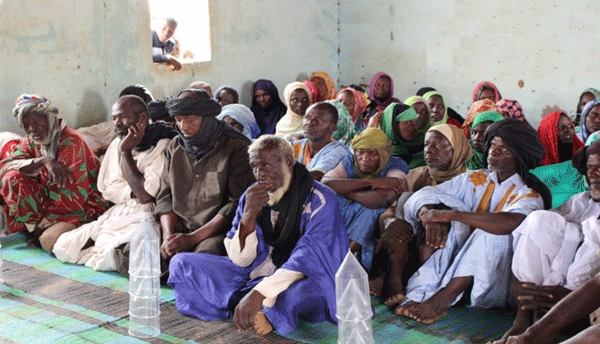 There is a limited knowledge on impacts of Climate Services in Africa. 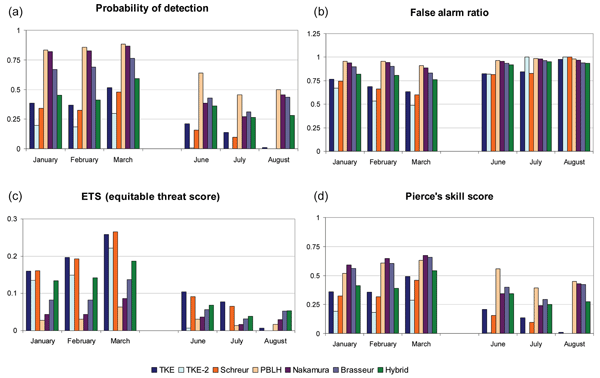 This paper analyses the impacts that agrometeorological services have for smallholder farmers in a typical rainfed staple crop production system of West Africa. The results show that such services enable farmers to mitigate some climatic risks and to optimize the inputs use efficiency. The final outcome is an increase of crop yield and an economic benefit compared to farmers that does not use the services. 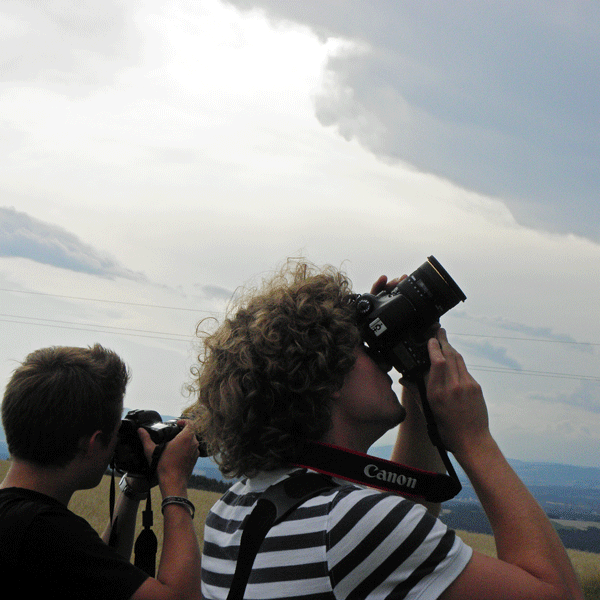 Measuring solar radiation and analysing its interaction with clouds are essential for the understanding of the climate system. 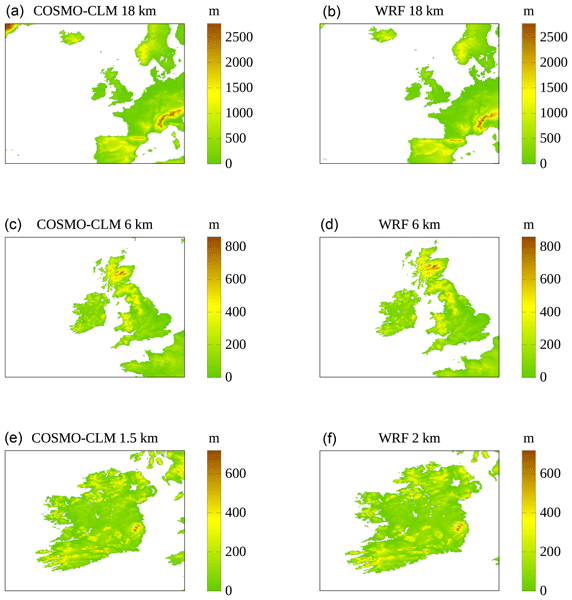 Trends in EUMETSAT CM SAF satellite-based climate data records of solar radiation and clouds are analysed during 1992–2015 in Europe. More surface solar radiation and less top-of-atmosphere reflected radiation and cloud cover is found. This study indicates that one of the main reasons for the positive trend in surface solar radiation is a decrease in cloud cover. During recent years the strong decrease in the prices of solar panels has lead to an increasing interest in harvesting solar energy. In this paper solar radiation forecasts from a global and a regional numerical weather prediction model are compared. 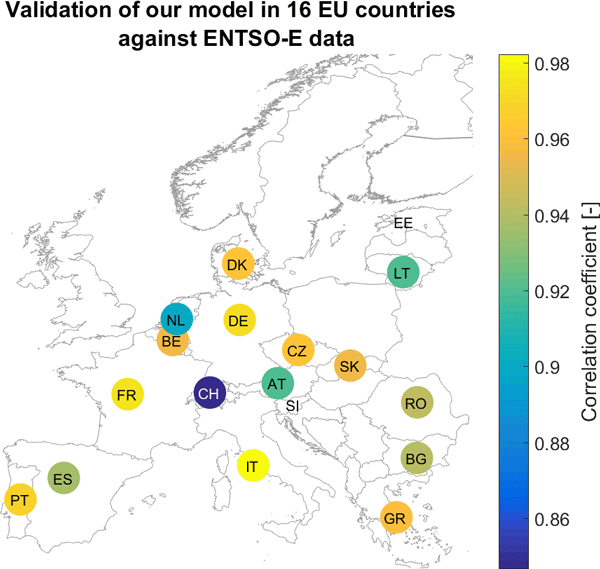 The result is that regional ensemble models can indeed provide added value compared to global models when it comes to forecasting solar radiation available for power production. Globally we are facing both an air quality crisis and a communication emergency. Communication efforts so far have been based on a one-way provision of information from experts to society, and have arguably failed in their mission to foster a more engaged society, or to result in cleaner air. This paper supports the case for moving away from one-way communication, and identifies five benefits of a practical two-way communication between experts and citizens in order to engender positive change. Our approach allows estimating the total photovoltaic (PV) power generation in different European countries from meteorological data. It is aimed at being easy to implement since it does not require any plant information or prior knowledge on the installed PV plants. 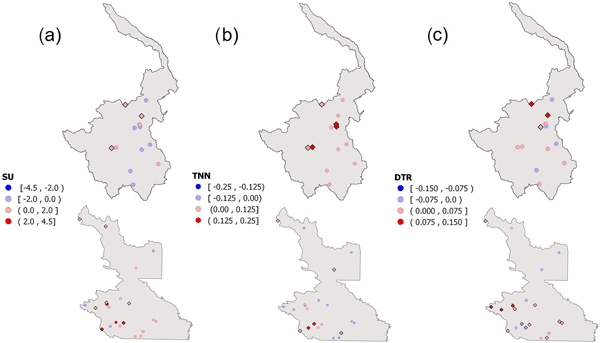 This paper presents the results of using two methods of climatic zoning for construction in the southern regions of Chile. Based on the degree-days method, the boundaries of the thermal zones of the Government of Chile, which have not been updated since 1999, have been updated. The relative energy consumption levels of buildings in winter and summer periods for heating and cooling were analyzed in each thermal zone. Global radiation forecasts by HARMONIE-AROME numerical weather prediction model were compared to observations over Finland in spring 2017 when convective clouds, rain and snow showers were frequent. 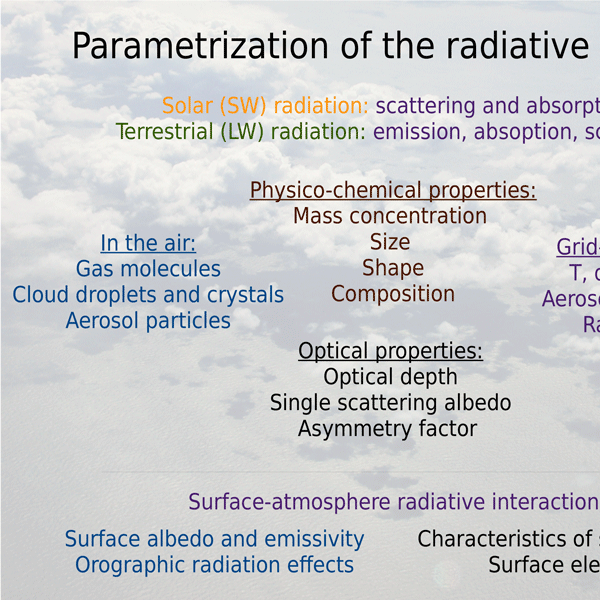 In HARMONIE-AROME, three different schemes for parametrization of the atmospheric radiation transfer are available. Differences between the schemes and observations showed up especially as variations in the hourly scale. The results by the schemes were closer to each other than to the observations. The Wind and Storms Experiment (WASTEX) was conducted during the winter 2016–2017 in the Upper Rhine Valley to better understand the formation of wind gusts during the passage of storms. The key instrument of the field campaign was a scanning Doppler lidar, which provides accurate wind observations along its beam with high spatial and temporal resolutions and within a range of several km. Results from WASTEX should help improving the representation of wind gusts in weather and climate models. An online survey was used to map the needs and preferences of the Finnish general public about extended-range forecasts and their presentation. Survey results guided the co-design process of novel extended-range forecasts in the project. The respondents considered that the tailored extended-range forecasts would be beneficial in planning activities, preparing for weather risks and scheduling everyday life. They also valued impact information higher than advice on how to prepare for the impacts. The adjustment of bias, i.e., systematic errors, of climate models are a necessity when comparing results of an ensemble of these models. Usually, the meteorological parameters such as temperature or rainfall amounts themselves are subject to bias adjustments. 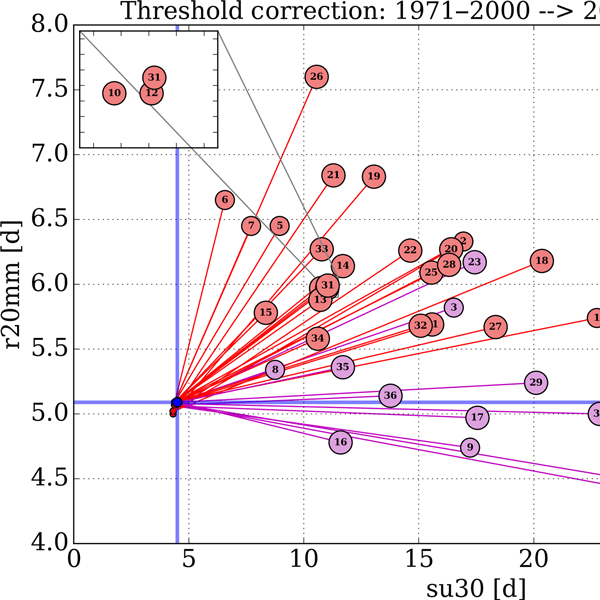 We present a new method to apply bias adjustment to so-called climate indicators which are derived from those parameters, e.g., the number of days warmer than 30 °C or the number of days with more than 20 mm of rain. Measurements of sub-daily (e.g. hourly) rainfall totals are essential if we are to understand short, intense bursts of rainfall that cause flash floods. We might expect the intensity of such events to increase in a warming climate but these are poorly realised in projections of future climate change. The INTENSE project is collating a global dataset of hourly rainfall measurements and linking with new developments in climate models to understand the characteristics and causes of these events. 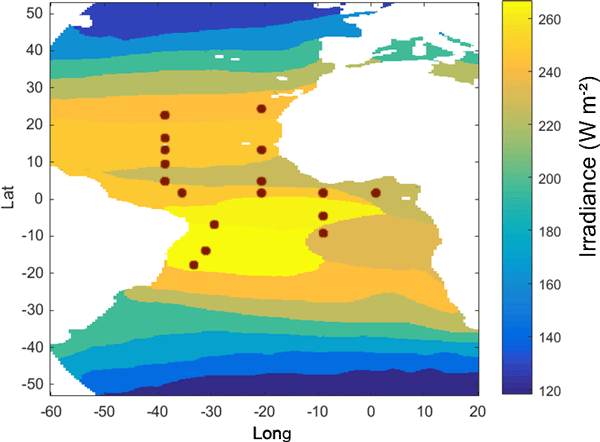 Monthly solar radiation in the tropical Atlantic Ocean: Can its spatial variations be captured by the current configuration of the PIRATA moorings? 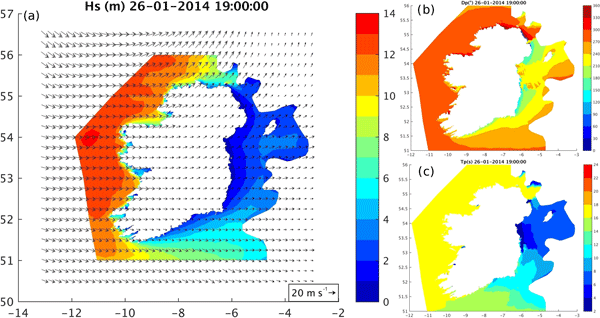 This study examines the synoptic conditions around Ireland during the winter of 2013/2014, which produced record-breaking sea states and severe coastal damage. Using a wave model, we analysed four of the most energetic storms providing an overview of the height, directionality and periodicity of the waves. This study provides important information for the development of renewable ocean energy extraction, where deployment location selection and survivability are a primary concern. Gusts represent short-lived extremes within the time variation of the wind. Despite their short duration, they are responsible for the majority of damage and disruption due to wind. 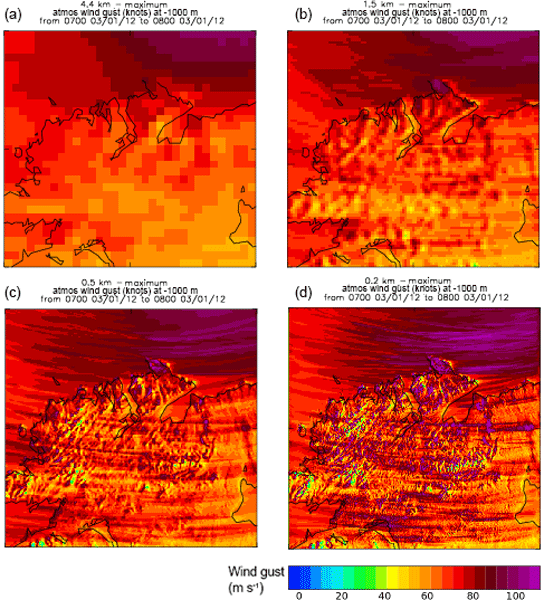 This study reviews new literature and innovative methods regarding the forecasting of gusts for weather and climate applications, the challenges and benefits that come with increasing resolution in computer models of the weather, and areas, such as wind power, where gust forecasting attains increasing importance. 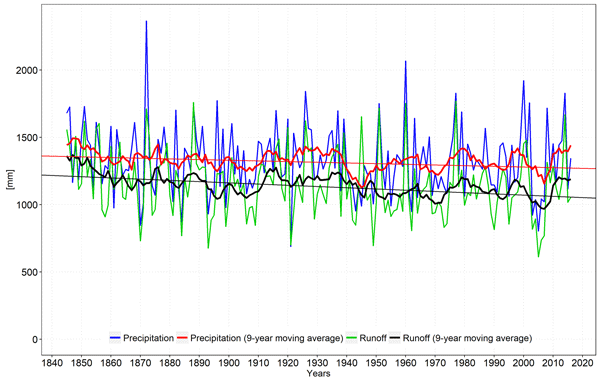 The gridded dataset of 1845–2016 monthly precipitation series over the upper Adda river basin is presented. 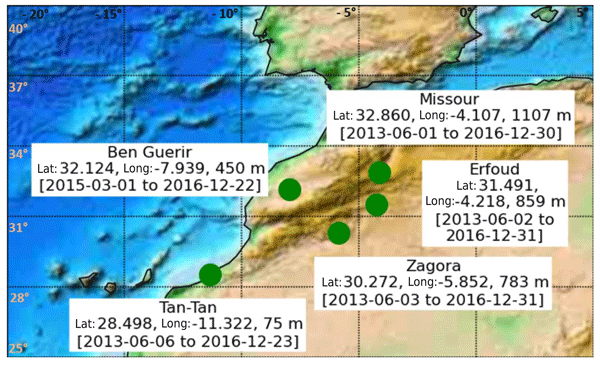 It allows to study the evolution of the precipitation regime over the region and to reconstruct extreme past events. The areal 1845–2016 annual precipitation series over the basin is in overall agreement with annual runoff. While the precipitation series shows no significant trend, a significant decrease is pointed out for runoff, probably driven by both natural and anthropic causes. 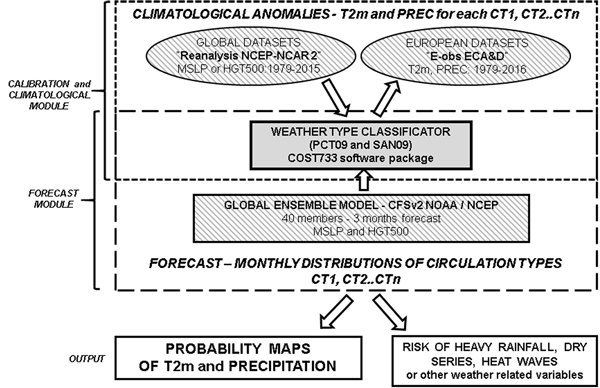 This new framework for high resoluted seasonal forecast allows an easier use of the information contained in the complex system of atmospheric circulations through their reduction to a limited number of circulation types starting from a global ensemble model. Further investigations are ongoing in order to lead predictions of the risk of heavy rainfall, drought or heat waves, all important parameters for agriculture, water management and severe weather risk assessment. 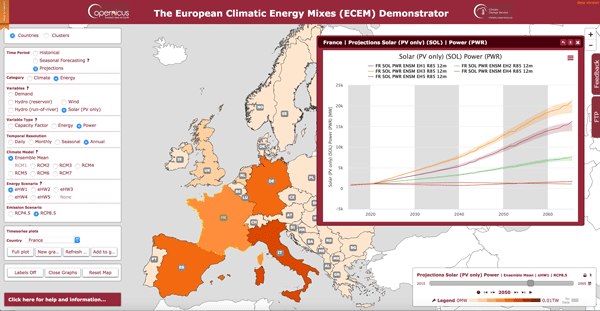 The European Climatic Energy Mixes, an EU Copernicus Climate Change Service project, has produced, in close collaboration with prospective users, a proof-of-concept climate service, or Demonstrator, designed to enable the energy industry assess how well different energy supply mixes in Europe will meet demand, over different time horizons (from seasonal to long-term decadal planning), focusing on the role climate has on the mixes. Its concept, methodology and some results are presented here. 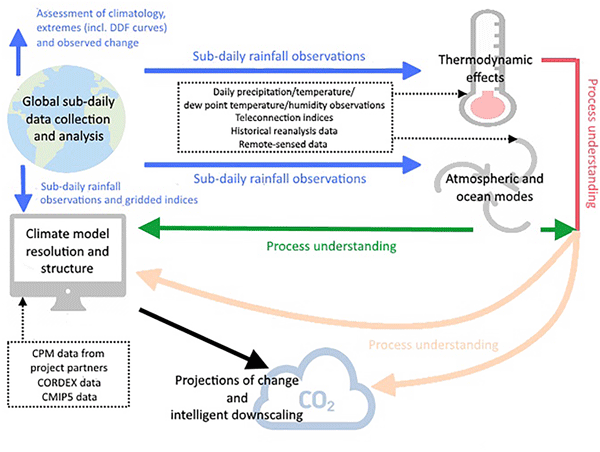 Accurate measurements of temperature and water vapor in the upper-air are of great interest in relation to weather prediction and climate change. Those measurements are mostly conducted using radiosondes. 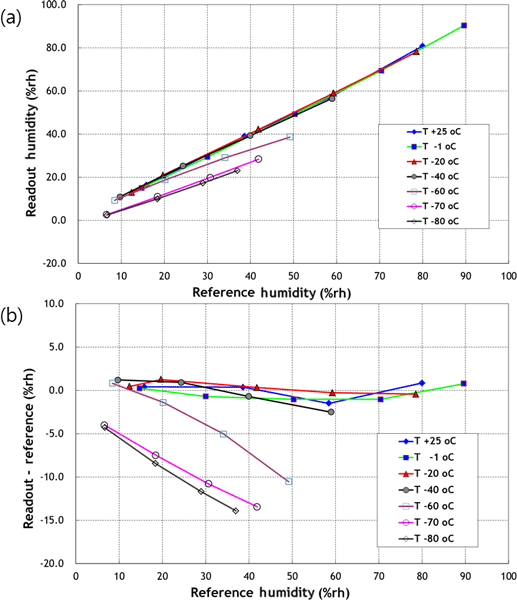 The sensitivity characteristic and response time of radiosonde humidity sensors were investigated at low temperature, using developed ultralow-temperature humidity chamber. 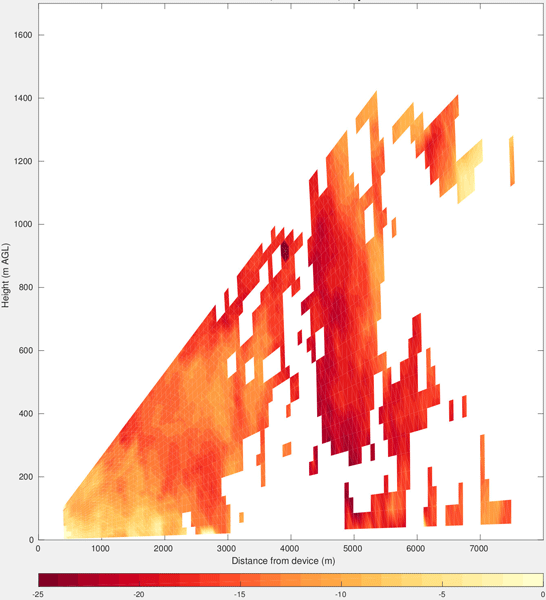 This work will improve the accuracy and reliability of the upper-air observation data. 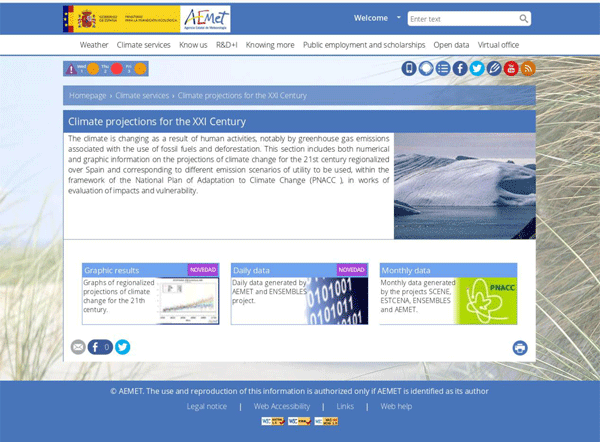 The Spanish State Meteorological Agency (AEMET) has been producing since 2006 a set of reference downscaled regional climate change projections over Spain. Its strategy aims at exploiting all the available sources of information on climate change projections. In the future this service aims at complementing the Copernicus Climate Change Service (C3S) in terms of resolution, expression of uncertainty, visualization, tailored adjustments and reinforcement of links with national users. This study provides a comparison between several climate change indices trends of two very different basins in Mexico, one located in the northern arid region (the Conchos River basin) and the other in the southern humid area (the Usumacinta River basin). 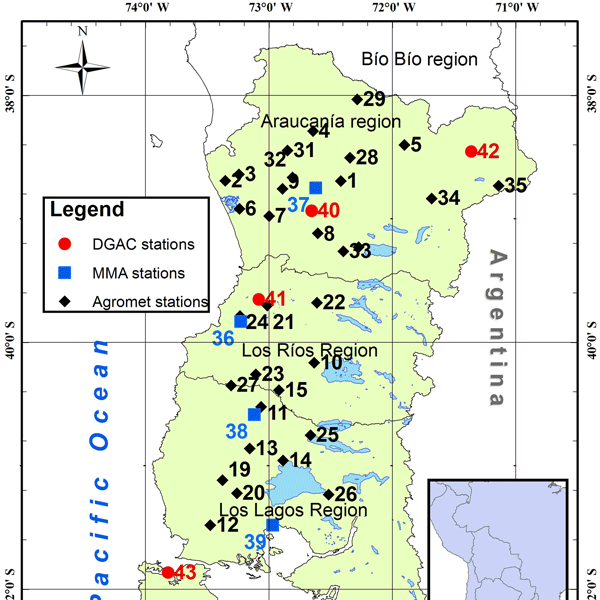 A clear warming signal was found for the two basins in addition to an increment in the diurnal temperature range, in agreement with other studies in Mexico. Also, the Conchos basin was found to be more humid and the Usumacinta drier. 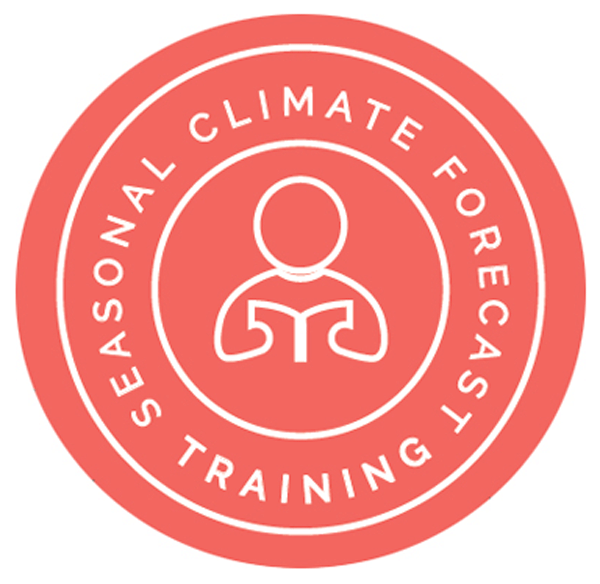 Recently, WMO and its Regional Training Centers engaged sustaining member Countries in developing Climate Services. Given its large spatio-temporal variability, Mediterranean is one of the most interseting regions for the application of Seasonal Forecasts. This paper presents a new educational approach, based on a blend of presencial and distance learning, culminated in the development of a course package where lerners can design their own learning path and that can be adapted to other regions. The Irish Centre for High-End Computing (ICHEC) has recently completed two Irish climate simulations for the period 1981–2016. The resultant high resolution (hourly, 1.5 and 2 km) gridded climate datasets will be of particular interest to those involved in research, industry and government. We provide a complete list of the variables archived at ICHEC and present station-based uncertainty estimates for several of the “fundamental” (e.g. precipitation) and more “exotic” (e.g. CAPE 3km) variables.